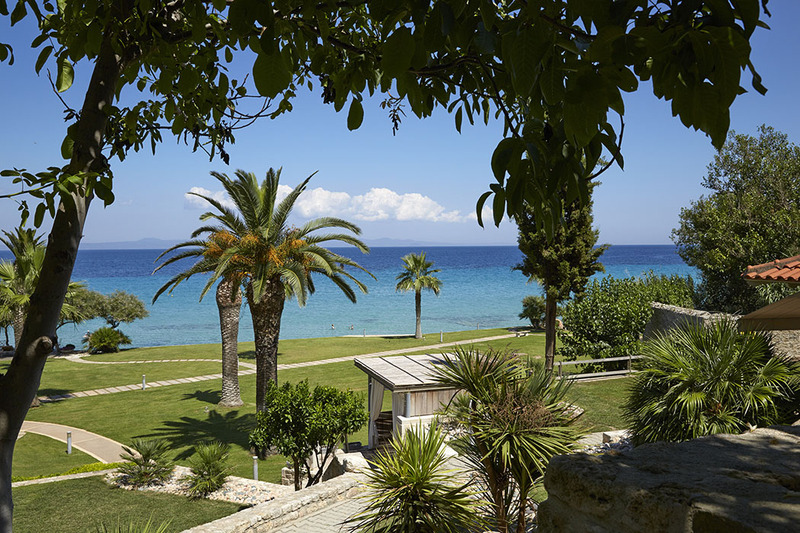 Afitis Boutique Hotel is a luxury beach hotel on the Chalkidiki peninsula off the Greek mainland. Started as a petit complex in the ’60s , this iconic hotel stands today with a capacity of 50 signature delux rooms The hotel nestles by a golden sandy beach in the Toroneos Gulf, below a backdrop of lush greenery. On the beach the crystal clear waters lap. On the horizon, distant green fingers of land trail out into the blue Aegean Sea. Welcome to one of the most perfect and unspoilt areas Greece! 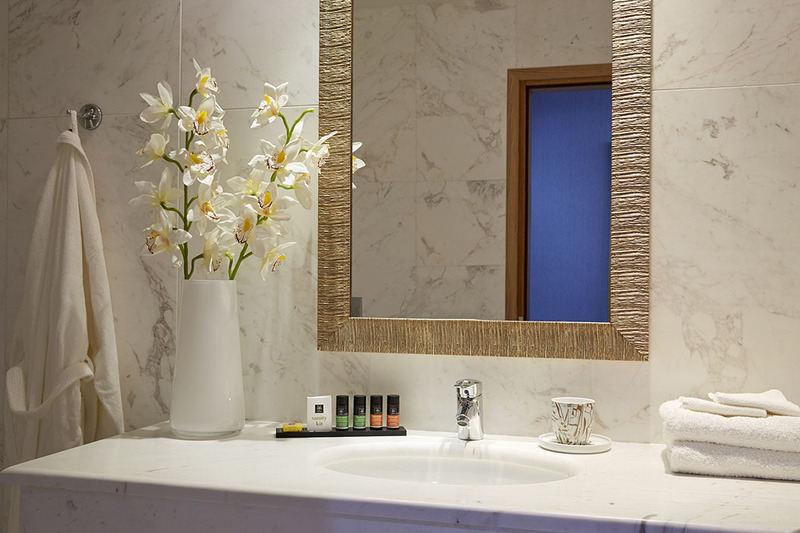 Travelling to Afitis Boutique Hotel is an easy trip from Thessaloniki’s Makedonia Airport. The route is well signposted to the peninsula of Kassandra. From there, the narrow windy roads will take you past the village of Afitos and then down the beach where you will discover this little boutique hotel. 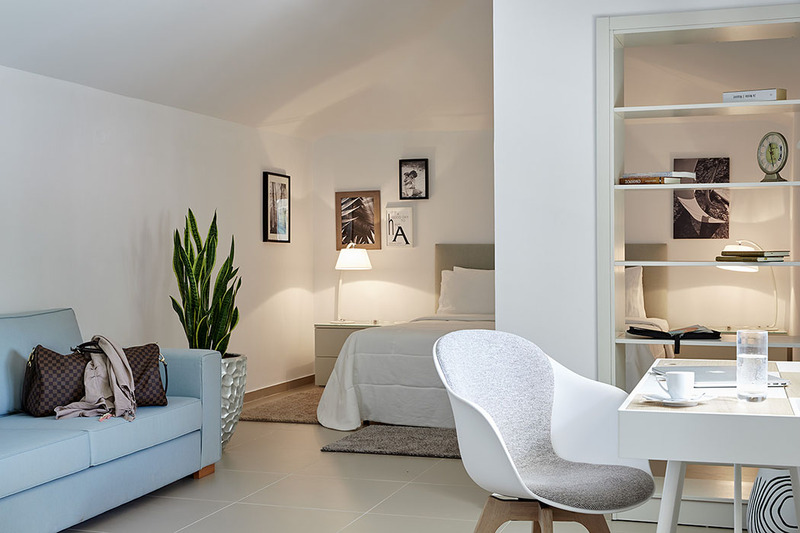 The recently refurbished boutique hotel is both cozy and chic. The modern building spills out onto lawned gardens packed with palms and a spectacular decked pool area before dropping down the picture perfect beach. Superb pieces of art and antiques can be found dotted around the property, and sit elegantly within the public spaces which are a mix of warm creams and natural stonework and tiles. 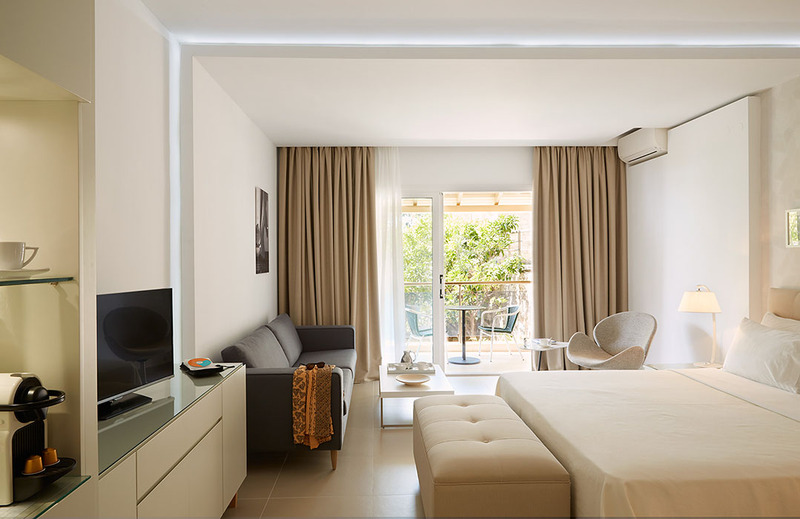 The modern guest rooms are an absolute treat, meticulously decorated with a huge comfy bed, decent sized balcony and all the amenities you would expect from a luxury hotel. Rooms face the beautiful gardens or the sea. 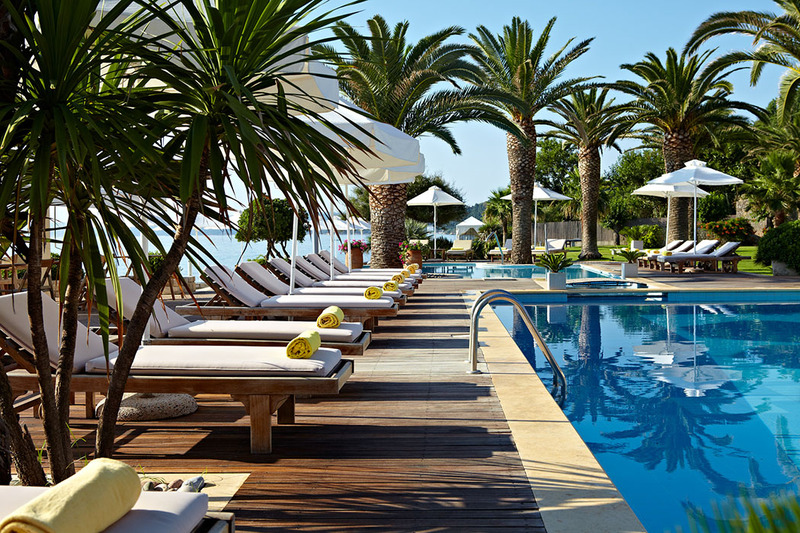 Seaview rooms have particularly lovely views of the pool area and across the palm trees. 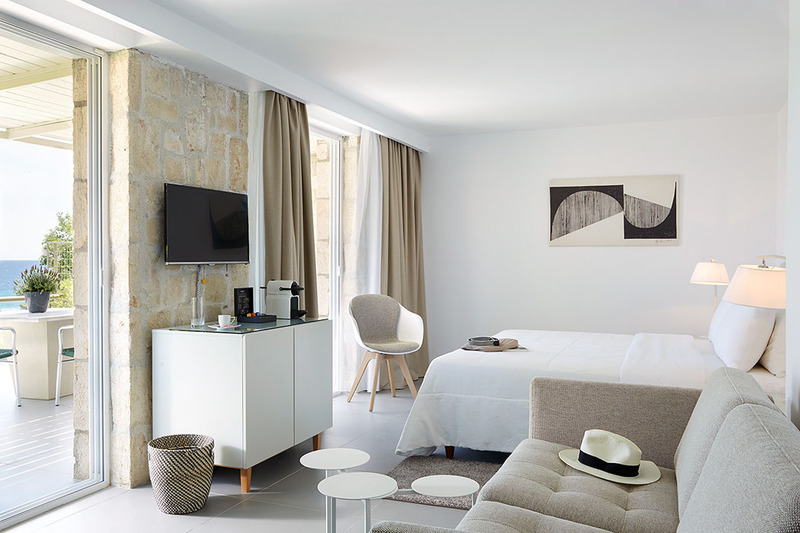 Suites offer “Boconcept” furnishings, marble bathrooms with Jacuzzi cabins. Tasty buffet breakfasts and tantalising evening dining featuring fresh local organic ingredients are available at the poolside Daphne restaurant. Those needing replenishment during the day can visit The Bar by the pool for just a healthy snack or a full gastronomic experience. 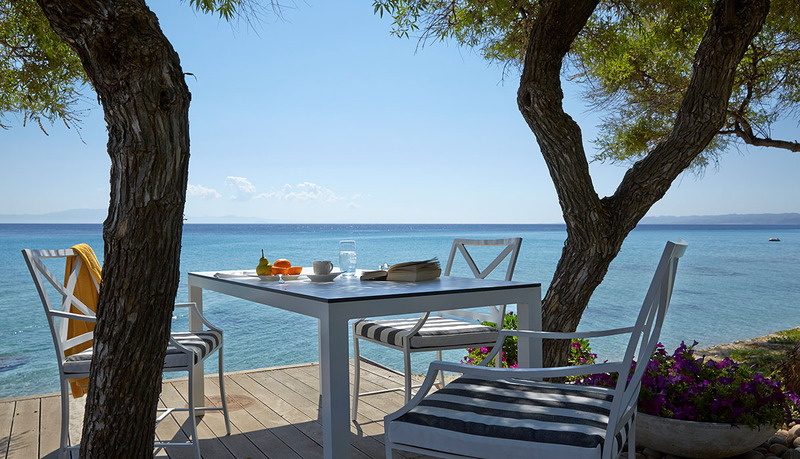 For fresh delightful seafood the elegant Mesogeios a la carte restaurant by the sea is the perfect setting for romantic candlelit dining, with local food accompanied by piano, violin and accordion to set the scene. Fiesta nights with Jazz themes take place across the summer which are the perfect end to an evening. For something different, a short walk from the hotel takes you to a number of local restaurants including Sparos which offers excellent mezes and seafood. The “Esence” beauty salon offers spa and treatment facilities that are an absolute must for a chilled vacation. Delight in an indulgent soothing massage either outdoors, or in the pampering atmosphere of the Essence suite at the Afitis. The private beach is lovely, equipped with sunloungers and parasols and a beachside service. As with much of Greece, the beach is rocky in places but the plus side of this is that the water is absolutely crystal clear and immaculately clean. This private beach is ideal for spending peaceful days and for a change of scene, there are the two glorious outdoor pools – the pictures say it all. Expect extraordinary hospitality from an impeccable and talented staff. The friendliness is genuine and from top to bottom, from management to cleaning staff. A short walk from the hotel and up a number of steps, is the well-preserved village of Afitos with its unique architecture, rich ancient history and traditional shops and delightful tavernas which are fun and lively in the evenings. Other fun excursions in the area are drives through mountains, forests, vineyards, gardens and fruit fields. A visit to the capital of Halkidiki with its rich cultural and historical heritage as well as a cosmopolitan café life, or you can take a tours around the local wineries. Of simply laze on the beach, let the waves tickle your toes while you relax under a parasol on the beach. 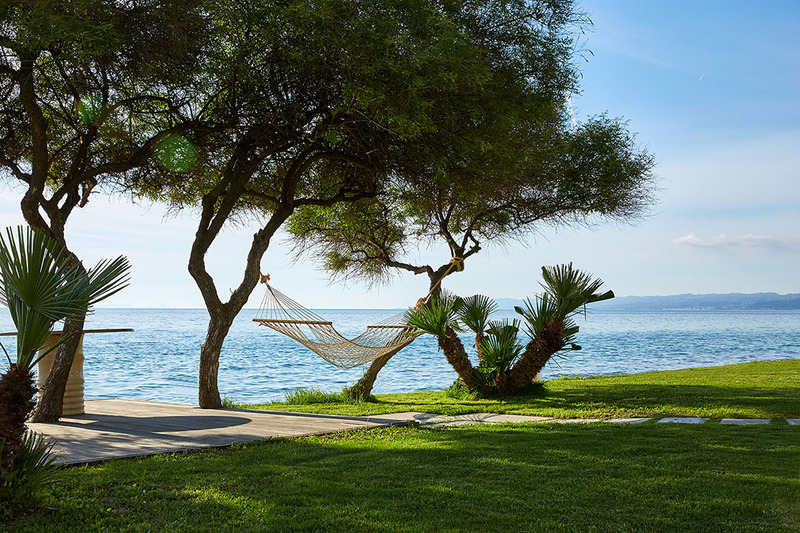 Listen to the waves as the warm Aegean breeze ruffles the palms above. Isn’t this what a holiday is all about? 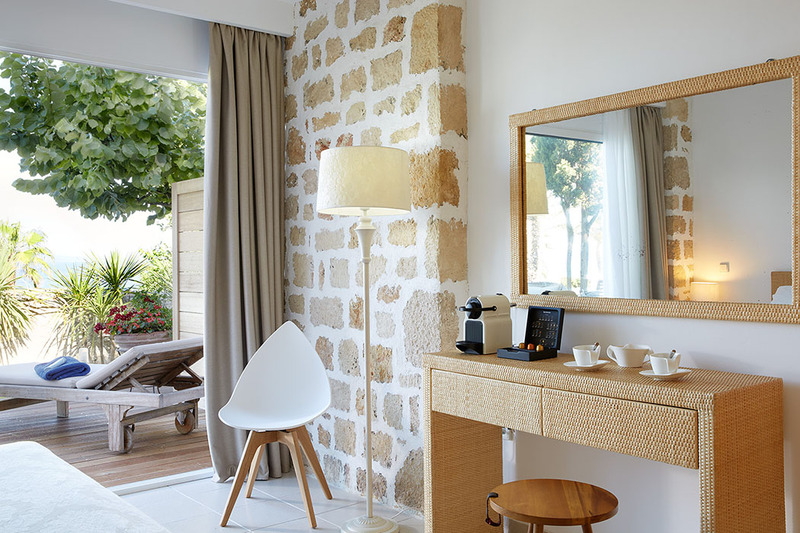 Afitis Boutique Hotel is an absolute gem. In fact it is so delightful that you are unlikely to want to share it with your friends for fear of spoiling such a perfect idyll.